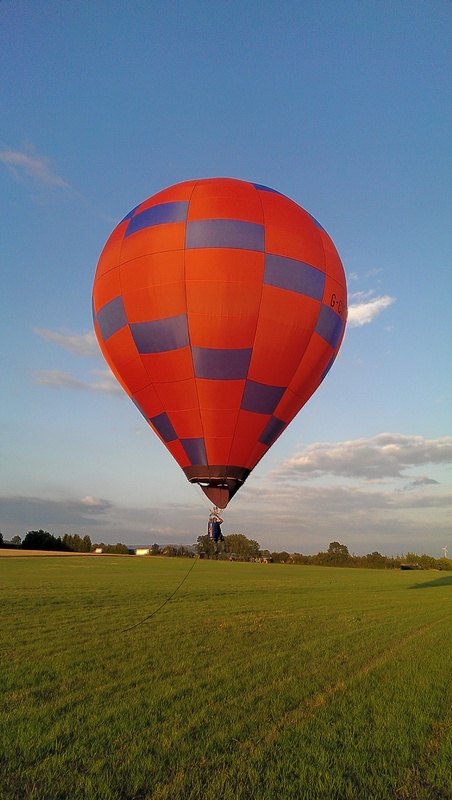 Well he has finally cracked it and Tim Wilkinson has done what he said he’d do and built three balloons before Sackville with a great deal of help and encouragement from Barry Newman. This makes him the second largest builder of balloons in the UK, well this year at least. As he’s got on so his skills have improved and although the stitching isn’t always spot on it is safe enough and strong enough to do the job. Having purchased a pile or two of material, primarily in two colours, there is a similarity in the design but hey, who cares they look great. He only needs another six and he’ll have a squadron! There’s probably enough fabric left! Based on the Airtour designs he has made a few alterations here and they have ended up possibly as the Howes would have made them had they developed the range further. A variety of pilots have now flown them all and the overwhelming verdict is that they fly very well. That’s good. 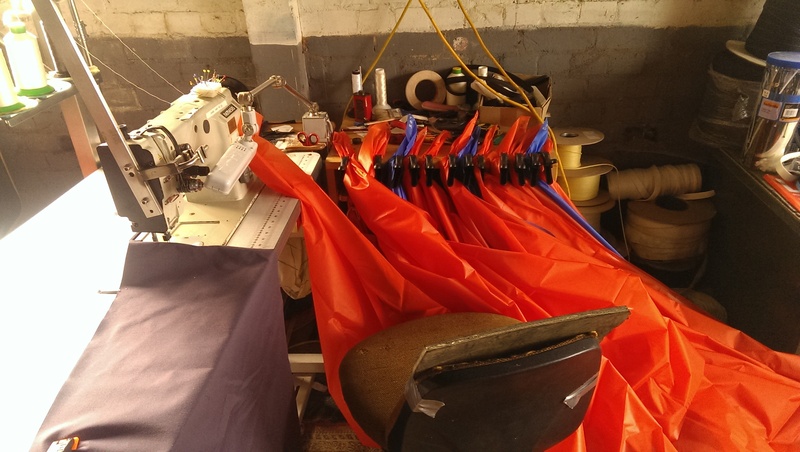 Now considering he elected to rebuild a really trollied balloon, and an eight gore one at that, as his first project it is amazing he kept at it. But he did and he has succeeded. Fair play to him. 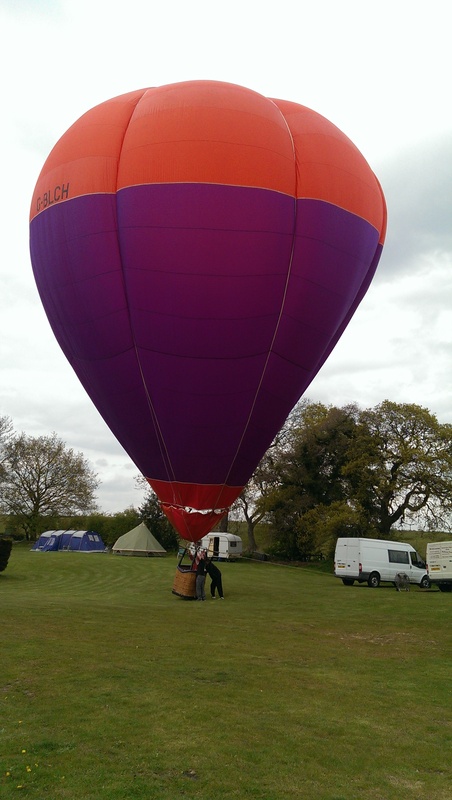 As a final footnote to their build he has put together a short bit of prattle, just so you understand that it isn’t that difficult to build your own balloon and it needn’t take that long! Over to you Tim. Sewing. A simple skill, bit like flying a Tiger Moth. It was used extensively as a trainer in WW2. Very easy to start and get going but a sod to master completely but as your expertise increased so did your flying. That is exactly what sewing is like. 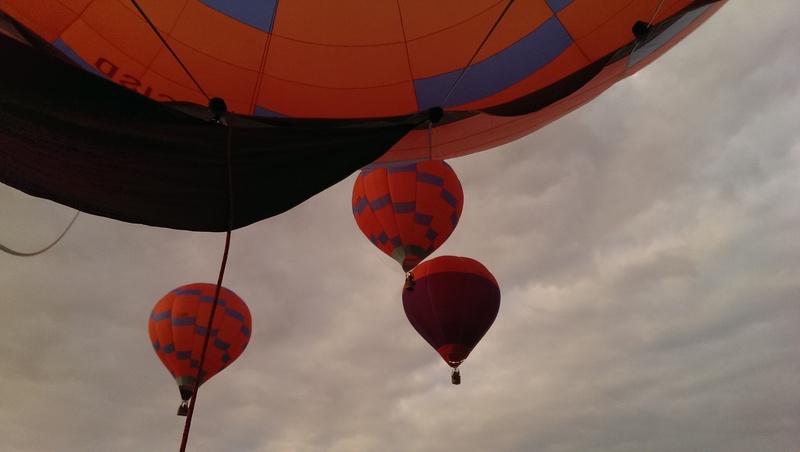 I am now looking back at the four balloons I built this summer. This journey has been everything and more than I could have wished for. Just brilliant. It has shown me I can really achieve and do something if I put my mind to it, even at my tender age of 63. You can build your own balloon. Financially you’re squids in all the way. Above all it is a great escape from this overheated modern world we all live in. Flying an envelope you have built is a reward in itself. I am so proud of what I have achieved people will be getting bored of me telling them what I have done. It's great when you hear someone telling someone else twice because they cannot comprehended that a normal mortal like me that has made it. There really is nothing complicated in building a balloon, its just a lot of repetitive work. There is a lot of expertise out there. Maybe that where I scored by asking questions and far more often than not I got an answer or a lead. There were many hurdles on the way that I really could have stopped at or failed in. Telling everyone in Aerostat what I was intending to do gave me no option but to succeed. I wish anyone that decides to have a go all the best. Really, HAVE A GO, YOU CAN DO IT!